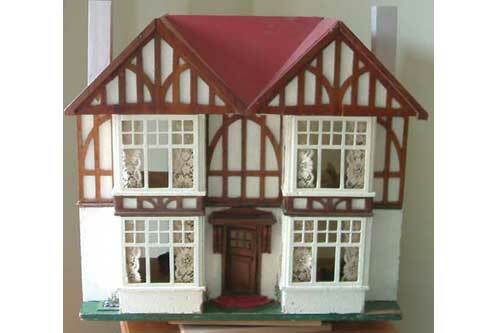 Old Dolls House Gallery Up & Running At Last Plus A Bit Of Chit Chat! 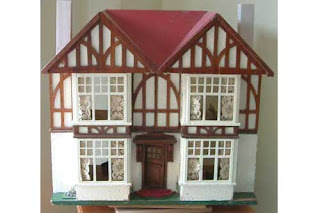 It may have taken me much longer than anticipated...but am chuffed to say that at long last the Old Dolls House Gallery on KT Miniatures website is now fully live and kicking....hoorah! 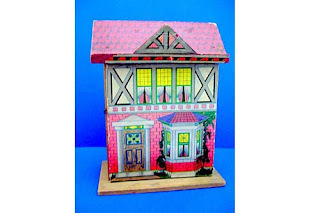 If you are a fan of antique and vintage dolls houses....and you have plenty of time to spare,then you may wish to browse through the Old Dolls House Gallery on KT Miniatures' website (there is a permanent link along the very top navigation bar of the website). There is a fantastic selection of private collections containing all kinds of houses and miniatures spanning over many decades from the Victorian, right through to the 1970s era. 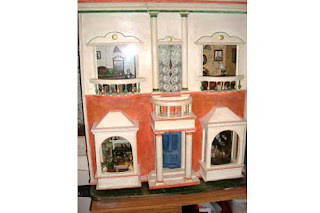 I have also included one or two videos of old dolls houses sold by KT Miniatures over the years plus a couple of 1930s houses from my own personal collection. Due to a special request from a customer, I have also included information of the gorgeous and extremely rare Beatrice Hindley plants sold earlier this year by KT Miniatures. Thank you to everyone who have kindly allowed us to share photos of their exquisite little treasures. 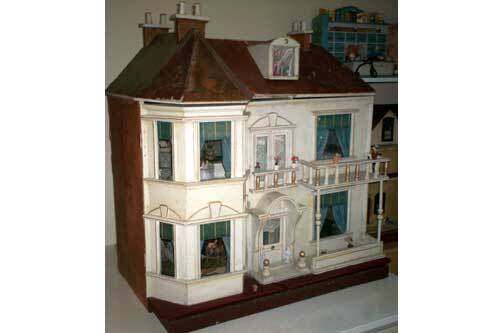 The final part of our Victorian Seaside project can be seen in the current issue of Dolls House & Miniature Scene magazine (October issue). 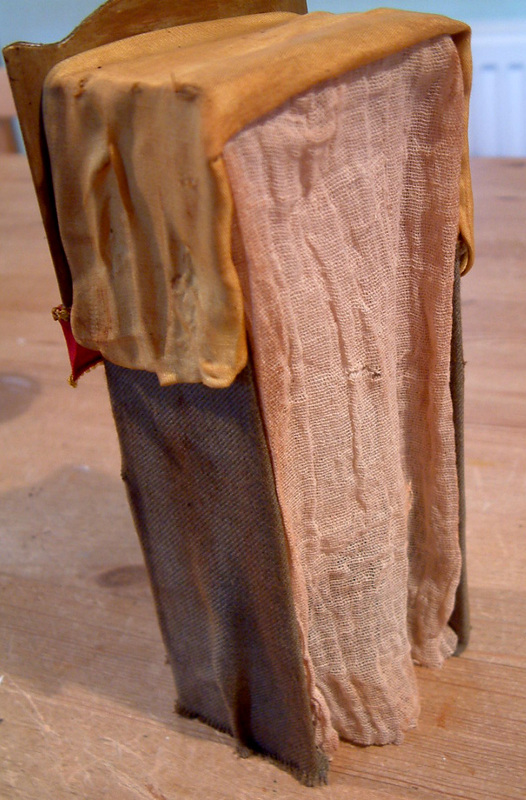 This month you can see how to make the aged Victorian Punch & Judy. 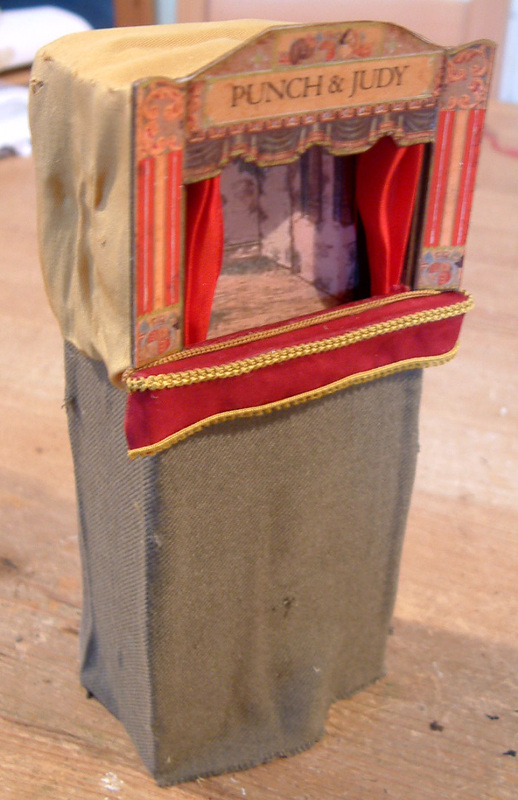 This Punch & Judy is available to purchase, along with the actual seaside base and other components from the seaside project. Customers Have Been Wondering Where I Have Been This Past Month.... Well...I have been around....honest, but working quietly in the background on KT Miniatures website, tidying up loose ends and sorting out workshop "stuff". Have also been away on a lovely holiday and have also been somewhat distracted by family matters. In the past couple of weeks, my eldest celebrated his 30th birthday, my youngest celebrated her 18th birthday plus we had to endure with baited breath her A level results!!! But we can breathe a sigh of relief as it is now all over. Youngest got her A levels and is now off to uni....three weeks today so there is still much to sort out. Both Robin and I are very much looking forward to seeing you all who are booked to attend our latest workshop on Sunday at Waterperry Gardens. See you all at 10.30am...all bright and bushy tailed!!!! PS. Booking will open on Monday for our brand new Saturday November 30th all day workshop that is taking place in Thame.....so watch this space!!! Spaces will be offered on a first come, first serve basis and are limited. I have just returned from a lovely relaxing holiday down in sunny Devon so KT Miniatures has been closed for a few days.....but now I am back open for business once more. So if you sent an email during the past week, sorry but you won't have received a reply. However I am beginning to slowly work my way through the backlog of emails this evening and I will reply to you as soon as I can. Many thanks for your patience. In my inbox was this lovely painting by Barbara Kendall-Davies of the Jersey Dolls House Club plus the following information of their club's latest exhibition. A view outside the St. Brelade Parish Hall in St. Aubin by Barbara Kendall-Davies , where the exhibition is taking place. 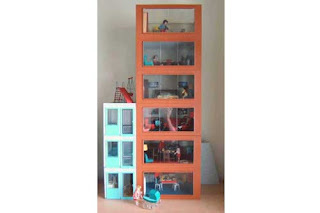 Exhibition of room boxes with the theme of a trunk. Household containers made into miniatures. Sales table of handmade items. Members' dolls houses, shops, etc. Refreshments, Raffle & Competition. So if anyone is lucky enough to be in Jersey that day, why not drop in at the exhibition and meet the very talented members. They will be very pleased to meet you.